Boston Children's Hospital is committed to providing high quality continuing education for pediatric providers and specialists throughout the world. As the primary pediatric teaching affiliate of Harvard Medical School, our more than 800 attending physicians and researchers are on the clinical frontier of effectively understanding and treating many pediatric diseases and disorders. This portal allows users to review transcripts, certificates, receipts and register for upcoming Boston Children's events. Please create a profile by clicking the sign-up button below . If you already have a profile but forgot your username and password, please click the sign-in button above. Joint Accreditation at Boston Children’s Hospital: Education for the team, by the team. 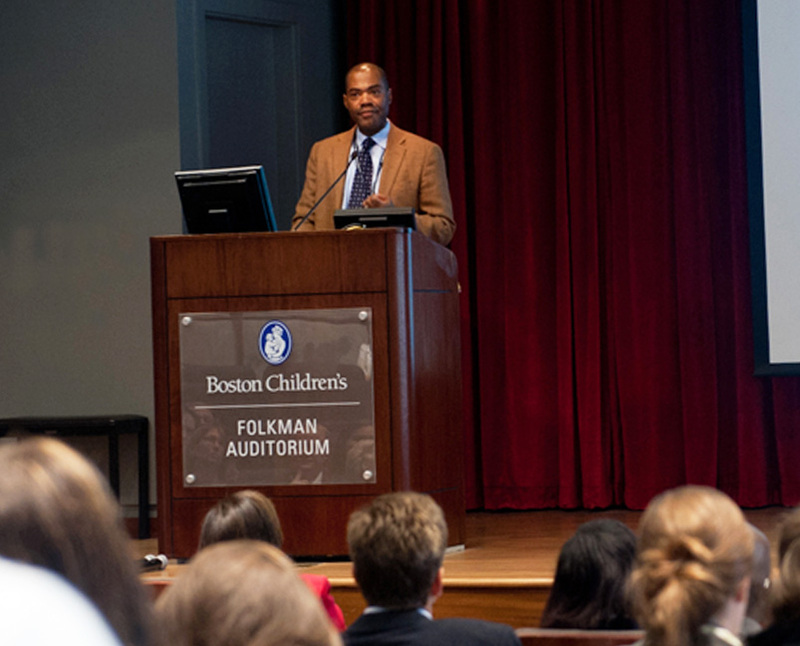 Boston Children's Hospital has taken an exciting step forward in our mission to teach the next generation of caregivers and foster the continued growth and development of our medical staff—as well as clinicians around the world. Boston Children's is now the first pediatric hospital in the United States to earn Joint Accreditation for Interprofessional Continuing Education™. As evidence of the quality of our programs, Joint Accreditation offers us the opportunity to be simultaneously accredited to provide medicine, pharmacy, nursing , social work, psychology, physician assistant and optometry continuing education activities through a single, unified application process, fee structure and set of accreditation standards, from global leaders in the field of accreditation. By offering multiple accreditation's in one review process, Joint Accreditation promotes interprofessional continuing education activities specifically designed to improve interprofessional collaborative practice in health care delivery. Joint accreditation is the leading model of interprofessional collaboration that helps improve healthcare through continuing education for the team, by the team.